ESCIM 2016 | 8th European Symposium on Computational Intelligence and Mathematics. Sofia (Bulgaria), October 5th – 8th, 2016. 8th European Symposium on Computational Intelligence and Mathematics. Sofia (Bulgaria), October 5th – 8th, 2016. In the past few years Computational Intelligence has become one of the main research topics at the Széchenyi István University. The first six Győr Symposia on Computational Intelligence have been successfully organized from 2008 to 2014. 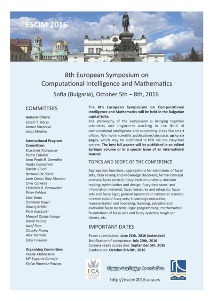 The seventh Győr Symposium on Computational Intelligence was jointly held with the fourth International Workshop on Mathematics and Soft Computing and it was called the 7th European Symposium on Computational Intelligence and Mathematics (ESCIM 2015). 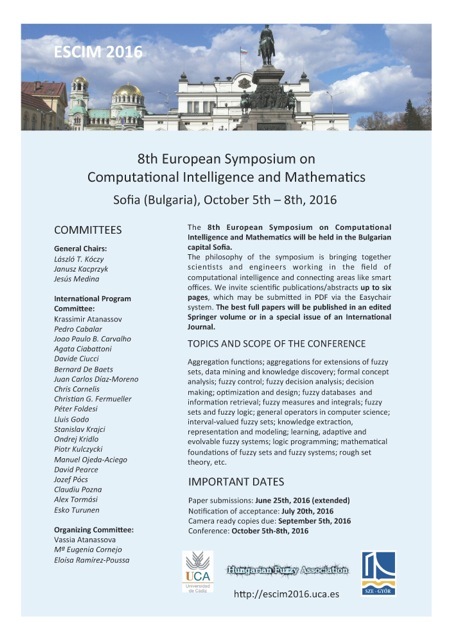 Today, we welcome you for the 8th European Symposium on Computational Intelligence and Mathematics in the Bulgarian capital Sofia. The location has been changed but preserves the philosophy of the past Györ Symposia. 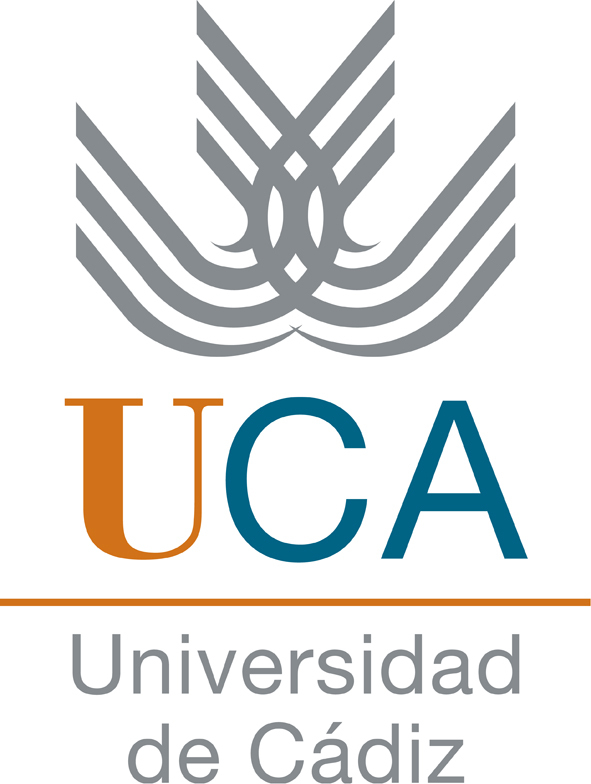 That is, bringing together scientists and engineers working in the field of computational intelligence and connecting areas like smart offices. 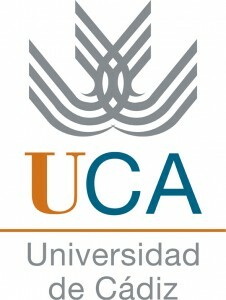 The best full papers will be published in an special issue of the journal International Journal of Intelligent Systems. The extensions of the best papers will be reviewed to be included in an issue of International Journal of Computational Intelligence Systems.